And how to fix 'em! But first, let&apos;s all recognize that our eye makeup mistakes will never be as bad as Taylor Momsen&apos;s. Oysh. We can all sleep a bit more soundly tonight knowing that. Eye makeup is my favourite kind of makeup. I actually get super-excited when I have a night out—not so much because of the fun night ahead, but because I get to have even more fun than usual with my eye makeup application. I&apos;m up for anything. If you can apply it to your eyes, I&apos;ll do it! With all of this "practice," I thought I was pretty up to speed with my technique. Apparently, though, I have room for improvement. 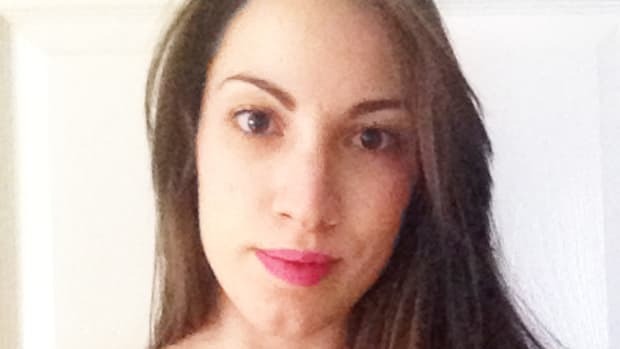 As I was having my makeup done by Make Up For Ever&apos;sMelissa Nicholl, she dished on the most common eye makeup mistakes, and what we should really be doing. I must say, my eye makeup looks UMPTEEN times better now. Were you making the same mistakes as me? That&apos;s a fancy term for putting concealer on your WHOLE under-eye area. DUH. How did I not think of that?! 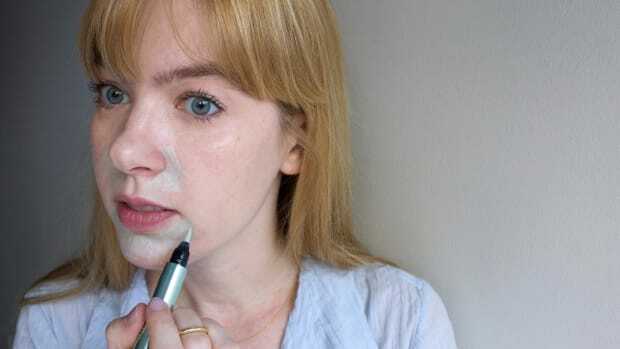 The fix: Dab, rather than rub, your favourite concealer (mine is Lancôme Effacernes Waterproof Protective Undereye Concealer) only where you see the darkest spots/shadows. For most people, this means near the tear ducts, bridge of the nose, and the inner side of their under-eye. 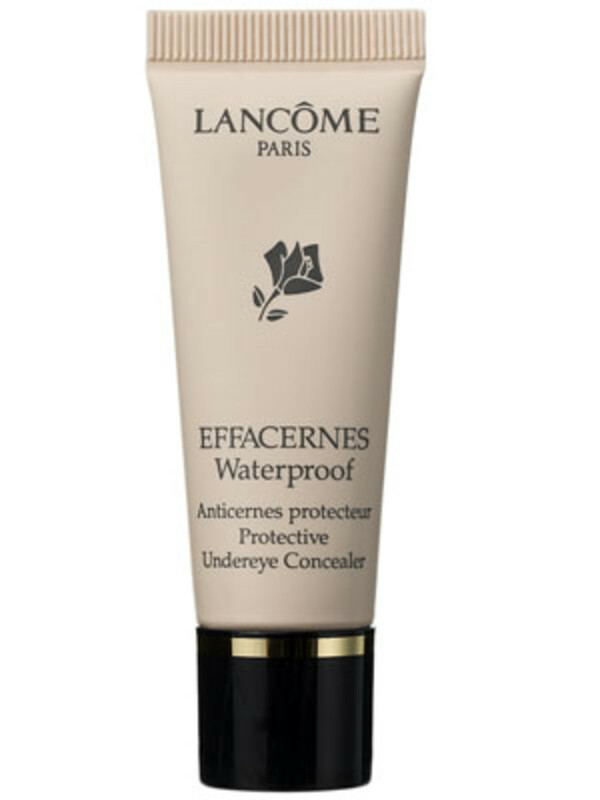 Lancôme Effacernes Waterproof Protective Undereye Concealer, $32.00; click here to learn more and purchase. Pro tip: To find where you need to put the concealer, tilt your head down; it&apos;ll emphasize the dark spots. Layering a concealer and an eyeshadow primer on your lids can create too much grip, ruining your ability to seamlessly blend together your eyeshadows. 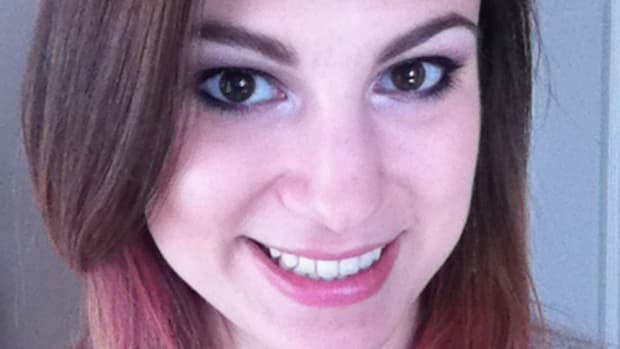 Let me paint you a picture: I LOVE Urban Decay Eyeshadow Primer Potion in Original. Urban Decay Eyeshadow Primer Potion, $24.00; click here to learn more and purchase. It’s their number one best-selling product, and I’m totally not surprised. I literally never bother to use eyeshadow if I don’t have the primer with me. But as soon as Melissa mentioned that no one needs a concealer and a primer on their eyelids, I realized she was soright. I totally don&apos;t need both. Now, I kind of feel bad about cussing those eyeshadows that did a cruddy job of blending together. It was probably because my eyelids had too much adhesion. Was I the only one? The fix: Pretty simple. Just use one or the other! 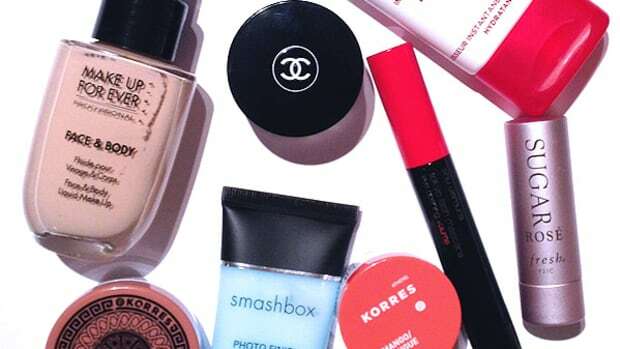 Primer or concealer! If you already have an eye shadow primer, then you might as well use that. But, if not, screw it! Apply that concealer you already own, and voilà—makeshift eyeshadow primer! The most aggravating part of doing my makeup is when I apply eyeshadow, finish my whole eye look, and then notice there is a crap ton of eyeshadow dust all over my cheeks (esspppeccciallllyyy when I do a darker smoky eye). Then, when I try to get it off, I just smudge it in and ruin all my face makeup. Anyone else feel my pain?! 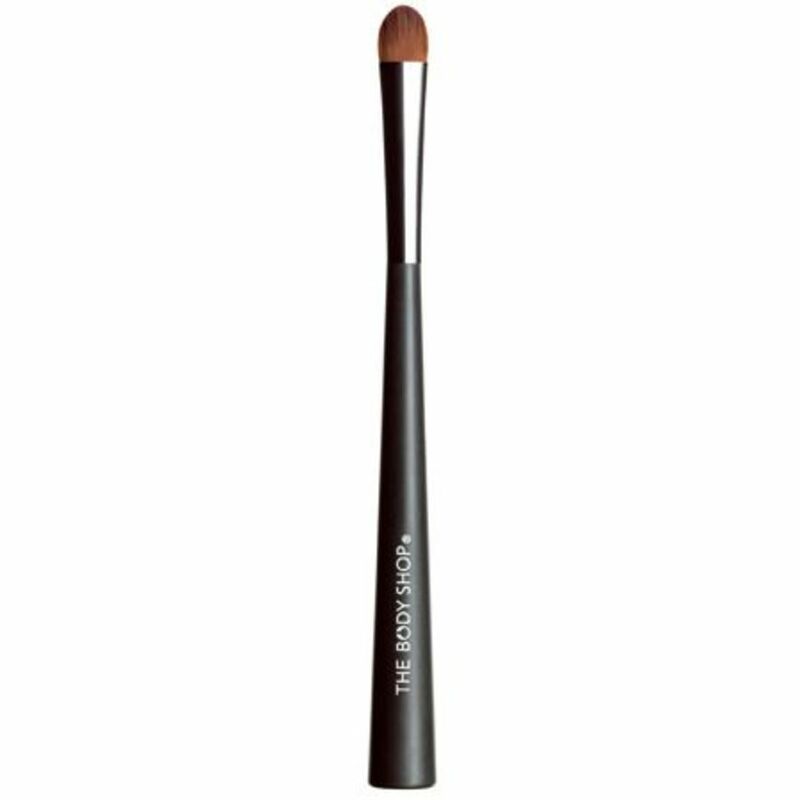 The fix: Sweep the brush in just one direction to avoid eyeshadow fallout. Apparently it&apos;s the back and forth, windshield wiper motion that causes the problem. You want the eyeshadow to be more intense on the outer lids in order to get the perfect contour. After dabbing the brush in your shadow, start at the outer corner (so that the colour will be the most intense there) and then sweep across to the inner side, lifting the brush once you get there. Then, start again from the outer edge. Do you get as excited as I do about putting on eye makeup? Were you making any of these mistakes? What&apos;s YOUR best eye makeup tip? 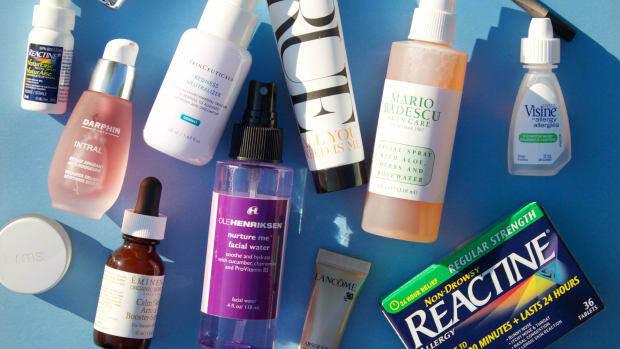 New uses for your unloved makeup products. 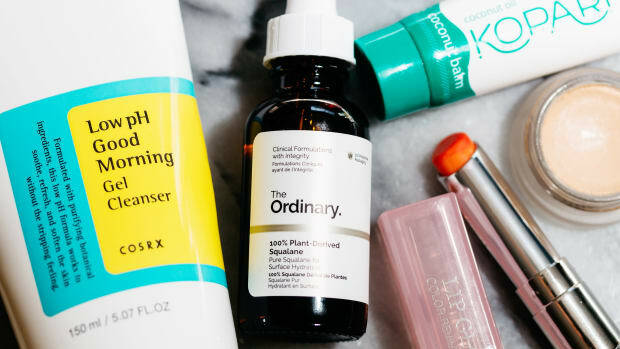 Help is here for blotchy skin and watery eyes. 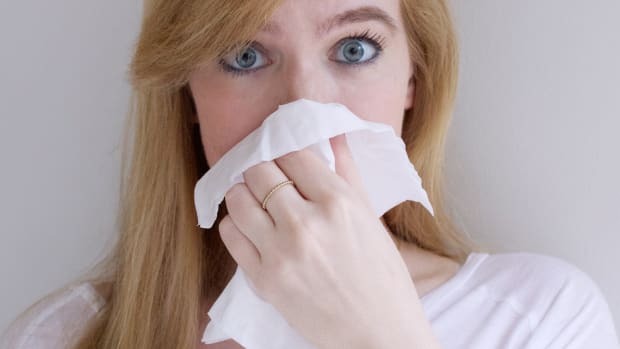 Disguise the telltale signs of allergies with these tips.